First and foremost, what a pleasure to meet our first builders who came to pick their kits up at our shop. I am very excited about having them build the PT Eleven and look forward to their contributions to our builder sharespot. Wow, it has been way too long since I posted. Putting a pile of kits together for the first time has been quite a learning experience. The next round will be a lot easier. There are lots of different parts and we are putting together a photo album that I will post on the website soon. It is an impressive number of parts. 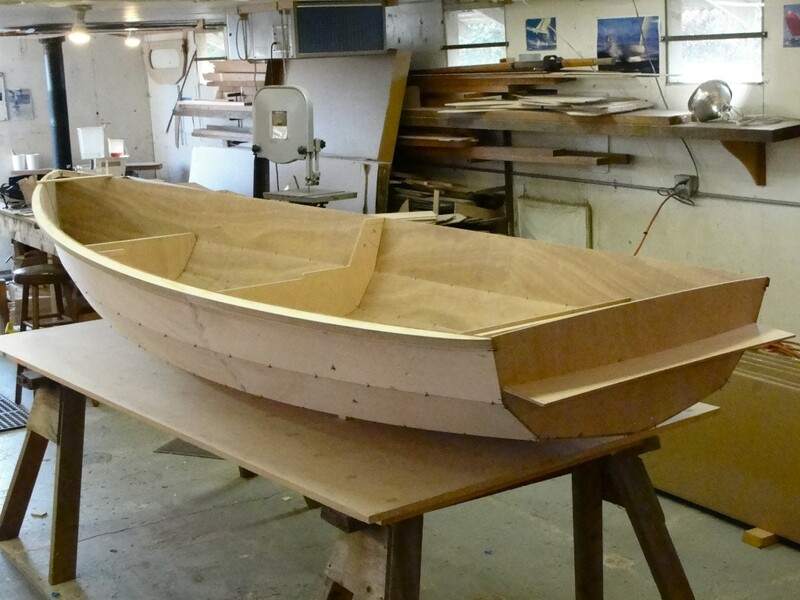 With some materials taking time to arrive before we can deliver the kits, Russell has been using that time to build the next boat. 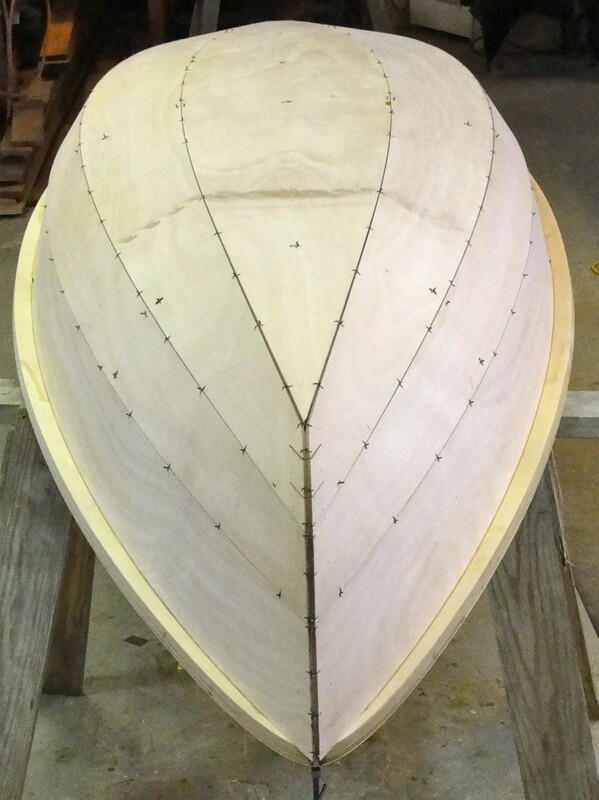 He is simplifying certain key parts about half way into the building process, mainly the structural fiberglass around the gussets that hold both ends of the boat together. Since our manual is a photo manual, the only way to get the desired photos is to build a boat. 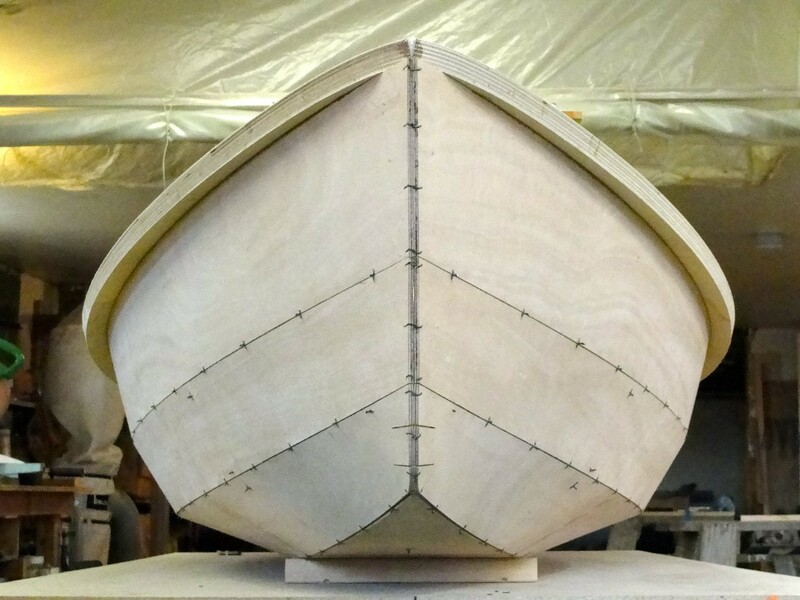 Russell notes that it is a ‘hell of a lot easier to build a boat with a manual!’ than having to write the manual while figuring out how to build it. The photos below show his progress after 5 part time days. On a different topic, I want to thank everyone who has been filling out our survey. Your feedback is extremely valuable to us. As developers, we are not the type to crank out new designs ‘lickety split’. As may be evident, we need our time. We have also realized that it takes 2 to 3 prototypes to get it right. While we rely on the skills of some brilliant friends for various aspects of our projects, the prototypes, photos and manual text are in Russell’s solo hands. He likes it that way but it is actually a huge job when you care as much as he does about the quality of the final result. Our designs may not meet everyone’s individual criteria but he weighs very carefully, the trade-offs inherent in achieving his design goals. So thank you again for your notes and feedback. Each new survey that comes in helps us to better understand our market and to plot the best course.